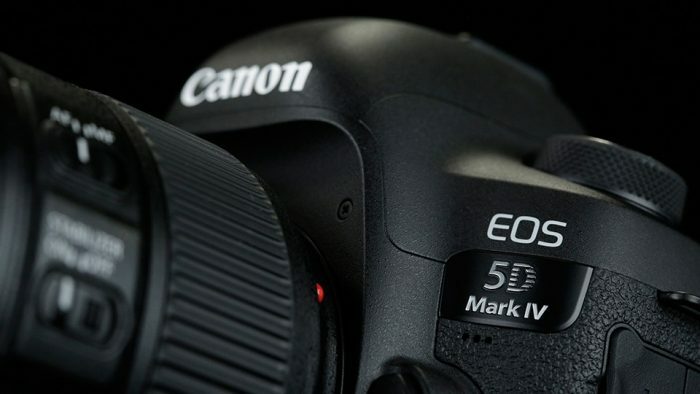 The much anticipated Canon EOS 5D Mark IV was just announced earlier today and after months of rumours, leaks and speculation as to what exactly the successor to the popular 5D mark III and arguably the cornerstone of Canon’s DSLR line-up, we now have full specs and features. The body hasn’t changed much, but we do have a new 30.4 Megapixel Full-Frame CMOS sensor with DIGIC 6+ processing, Dual-Pixel AF and of course (finally!!!) 4K DCI video recording. To my and many others’ surprise, Canon opted for the good old Compact Flash and SD card slot combo, I expected to see Cfast 2.0 and SD maybe, but hey – at least you save some money on media this time around. B&H and Adorama have just posted some First Look videos, which you can find below as well as a 4K video sample from Canon showing off some of the 4K video capabilities of the new 5D Mark IV. In addition to the new 5D Mark IV, Canon announced new versions of a couple of their very popular L-series zooms lenses that are frequently used in video – the run-n-gun favourite EF 24-105mm f/4.0L IS II and the wide-angle EF 16-35mm f/2.8L III USM ($2,199). 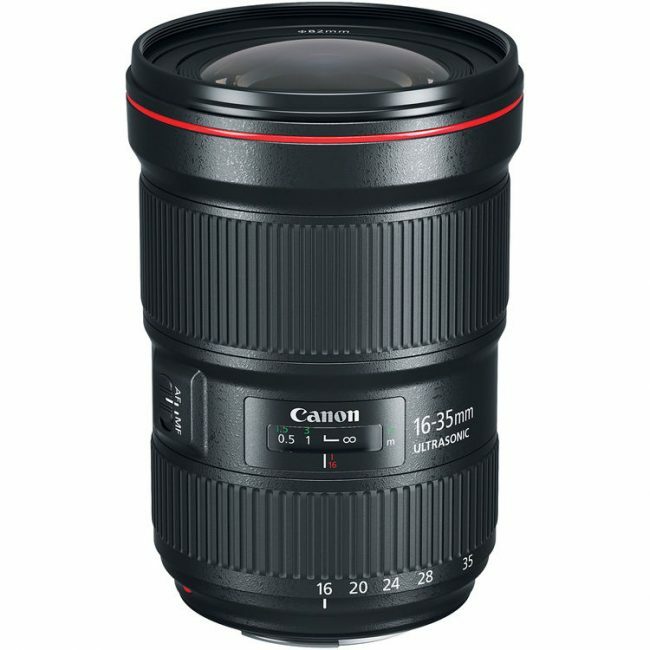 The new 16-35mm Mark III receives a new optical design including a large-diameter dual-surface aspherical element and a ground aspherical element, which provides improved sharpness in the corners and edges. The lens also receives an upgraded nine-blade circular aperture for some silky smooth bokeh. 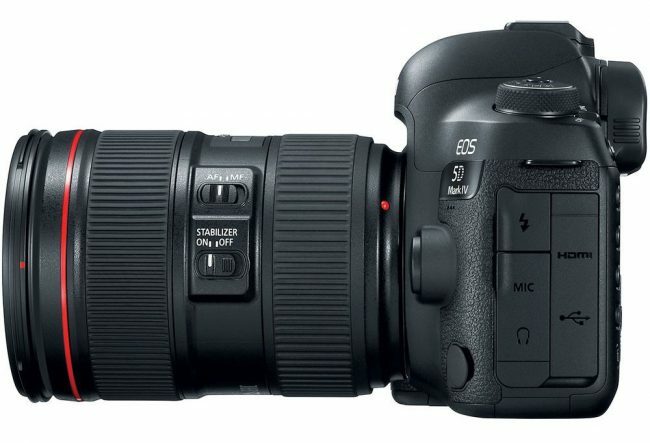 Both updated lenses feature internal focusing, as well as a ring-type Ultrasonic Motor (USM) for faster and quieter focusing. The new EF 24-105mm f/4 II lens is priced at $1,099 and features a brand new optical design with improvements in peripheral brightness for reduced vignetting. Video shooters will appreciate the Image Stabilizer that offers up to four stops of shake correction, and a ten-blade circular aperture for smoother bokeh (which is 2 more blades compared to the predecessor). You can buy 24-105mm f4.0L IS II in a bundle with the 5D Mark IV for $4,599 from B&H. HDMI Out – 1080p Only!!! For a camera with such mega-hype before the announcement, the 5D Mark IV launch has been surprisingly underwhelming judging from some of the comments below these videos on Youtube and filmmaking forums around the Web. Somehow, I don’t think the video samples have that “wow” factor that will push me to spend £3600 GBP in the UK – that’s a boatload of money! 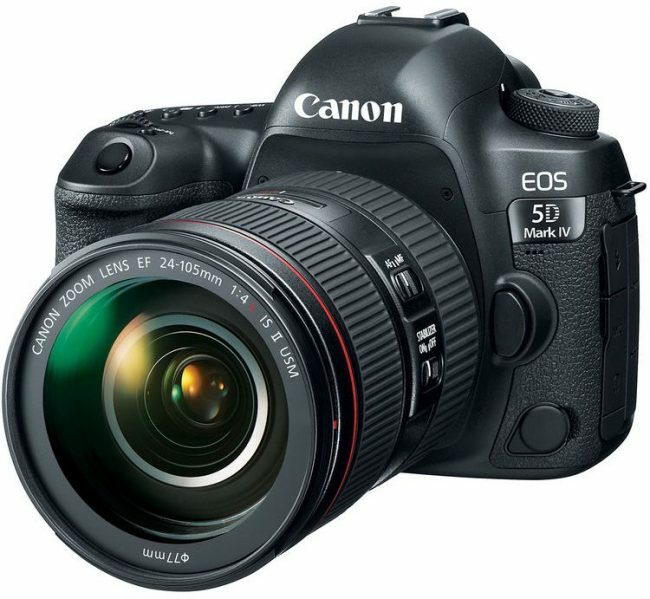 I hope I can get to test the 5D mark IV, even with all it’s shortcoming in the video department, it has the potential to get some pretty 4K video images. I know it’s too early to tell, and no one should be making early judgements based on a couple of video samples, and I get it – this is a photographic camera with some video features. It’s not the other way around. I am sure that it will be a stunning stills camera for busy photographers, and I am also sure that Canon will sell a lot of them. 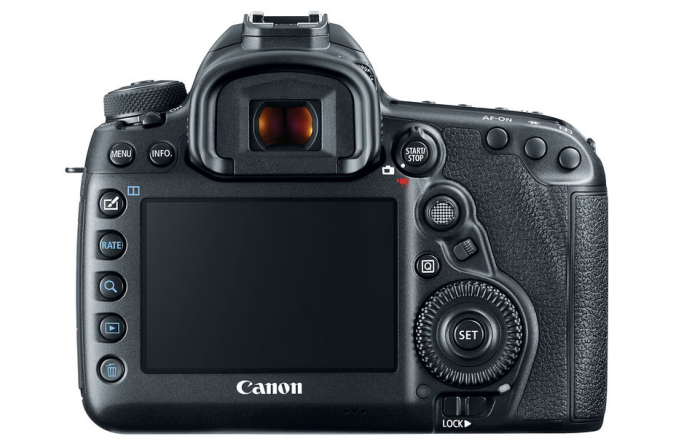 However, in 2016, it really begs the question – have Canon finally abandoned pro video segment in their DSLR lineup? There is no LOG, no WideDR, no 4K HDMI output!!! (just like on the 1D X Mark II, 1080p only so forget about using an Atomos Shogun Flame or Video Devices PIX-E5 or any other 4K external recorder with the 5D mark IV), there’s the old, outdated, cumbersome, sluggish and unnecessary MJPEG codec which is a pain to edit and requires transcoding… Who know’s maybe they’ll bring a new 1DC at IBC? One more thing – the 5D Mark IV has a 1.74x crop when shooting in 4K (the camera uses a window-ed portion of the massive 30 megapixel full-frame sensor as to avoid pixel-binning), so bear that in mind when choosing your wide-angle lenses. 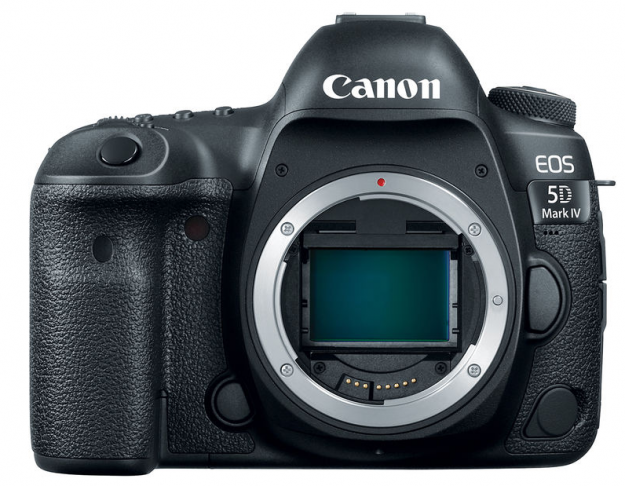 All of a sudden a lot of S35 glass can theoretically be used on the 5D IV, but that’s something that has to be tested on a case by case basis. What do you guys make of the new 5D Mark IV?